Recent release “Dialogues With My Dream Girl” from Page Publishing author Mitchell Glatstein is an enchanting book of a man who seems to be have been a romantic since birth—and his words of endearment to his dream girl. Mitchell Glatstein, a romantic author, has completed his new book “Dialogues With My Dream Girl”: a captivating book of beautiful romance that sets the reader to an adventure of overwhelming feelings and desires through awe-inspiring and touching words. Published by New York City-based Page Publishing, Mitchell Glatstein’s evocative book uses a love language that will definitely touch every reader. The author intends to lead readers to thoughts and emotions that they may have never experienced before. 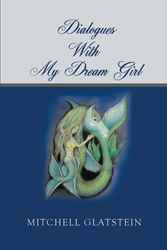 Readers who wish to experience this enchanting work can purchase“Dialogues With My Dream Girl” at bookstores everywhere, or online at the Apple iTunes store, Amazon, Google Play, Kobo or Barnes and Noble.